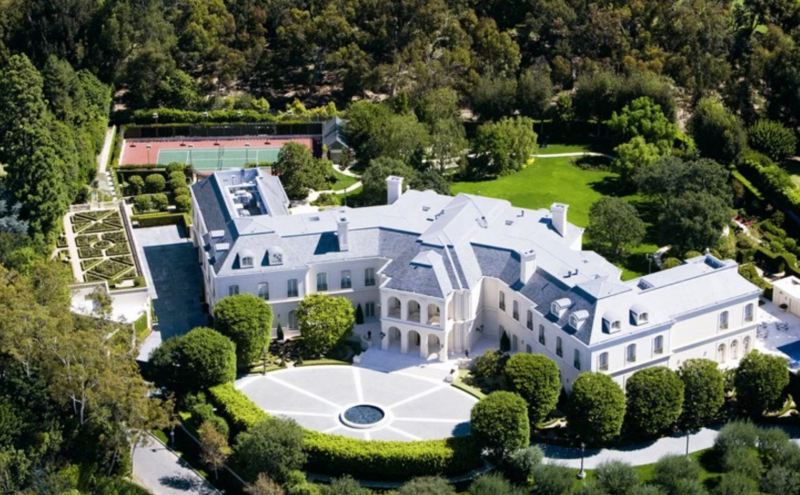 “The Manor” located in Los Angeles, CA has been listed for $200 million, making it the most expensive home currently for sale in America! 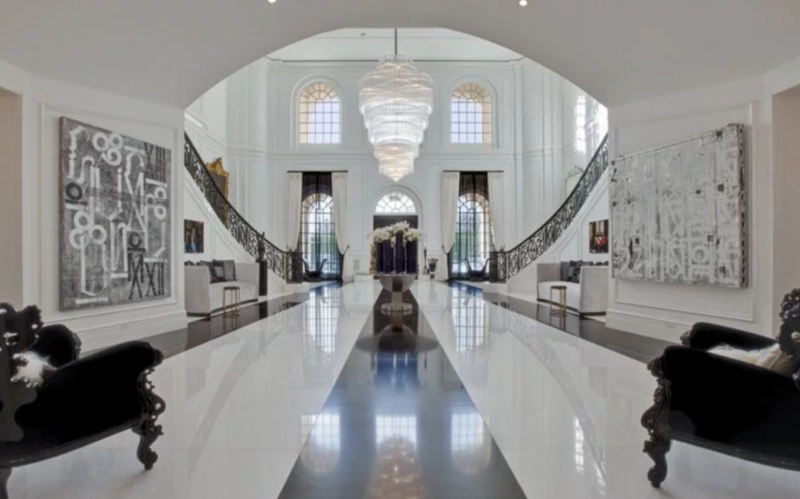 It is owned by Petra Stunt (Ecclestone), the daughter of billionaire Bernie Ecclestone. 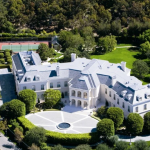 Petra purchased the home from Candy Spelling in 2011 for $85 million. She then completed remodeled it; giving a fresh new & modern look. In 2014 she quietly put it on the market for $150 million, but didn’t find any buyers. 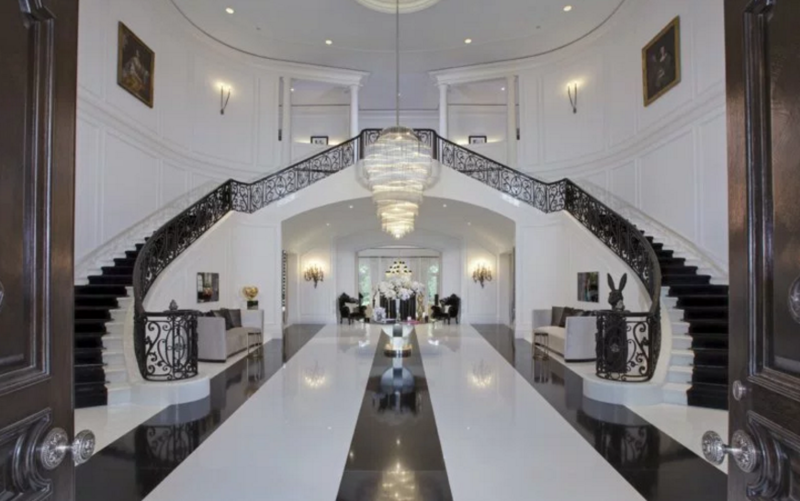 The 123-room home is located at 594 S Mapleton Drive in the Holmby Hills neighborhood and was built by the late media mogul Aaron Spelling. His widow Candy first put the home on the market back in 2009 with a price tag of $150 million. 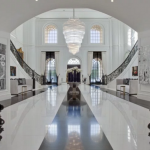 It features approximately 56,500 square feet of living space with 14 bedrooms, 27 bathrooms, 2-story foyer with grand double staircase, formal living & dining rooms, gourmet kitchen with 3 islands, library, salon & spa, home theater, billiards room, bowling alley, gym, 17,000 square foot attic, garage and much more. Outdoor features include a gated entrance, motor court with fountain, loggias & terraces, swimming pool with spa and more. It is listed at $200,000,000.